Login with Twitter or simply leave your name and e-mail to comment. Your e-mail will not be published. Oops! Please write your name and e-mail before commenting. That doesn't look like a valid e-mail address... don't forget your @'s, .coms and what have you. Oh noes, the message box is blank. Please write me something in the box above. 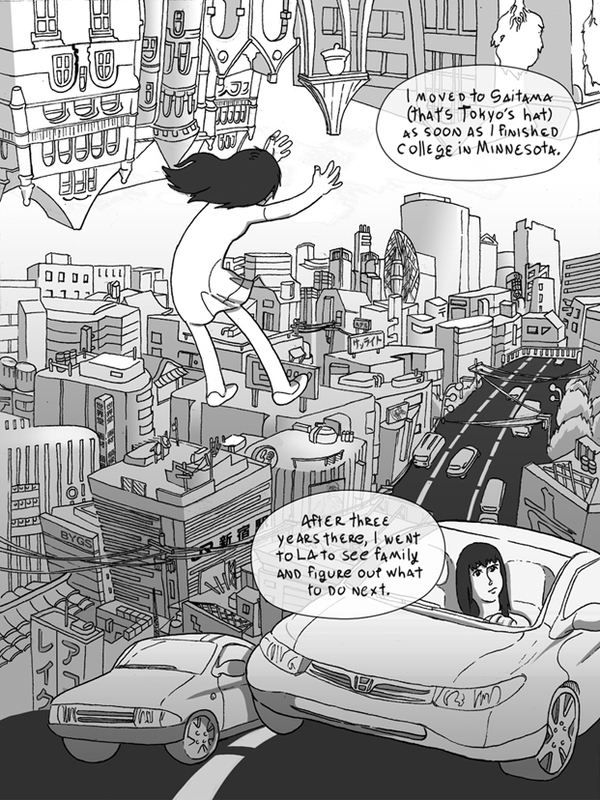 I moved to Saitama (that's Tokyo's hat) as soon as I finished college in Minnesota. After three years there, I went to LA to see family and figure out what to do next. Want to help translate this comic? Click here to send one in. All languages are accepted and you will get credit on the comic's page. Unless otherwise noted, all material is licensed under a Creative Commons Attribution-NonCommercial-ShareAlike 3.0 Unported License. Permissions beyond the scope of this license may be available at http://www.naomiyaki.com.